Here we’ve taken a look at what some of the top brands in the industry do to keep their community engaged and how their efforts compare. Brands analyzed: Honda, Toyota, Nissan, Subaru, Mazda, Hyundai, Kia, Ford, Lincoln, Chevrolet, Buick, Chrysler, Dodge, Jeep, Volkswagen. One of the interesting factors about these brands’ Facebook communities is that most of them recently merged their car model pages into their parent company page – except Honda. With social media advertising becoming more and more about Reach, especially for non-FMCG brands, a move like this could have been done with a view to make promotions and page administration better. While we can’t say for sure why brands like Ford, Nissan and others are merging pages, we know Chevrolet, followed by Ford have the largest Fan bases on Facebook. On Twitter and Instagram, Ford had the most followers, almost a million on Twitter and over 2 million on Instagram. 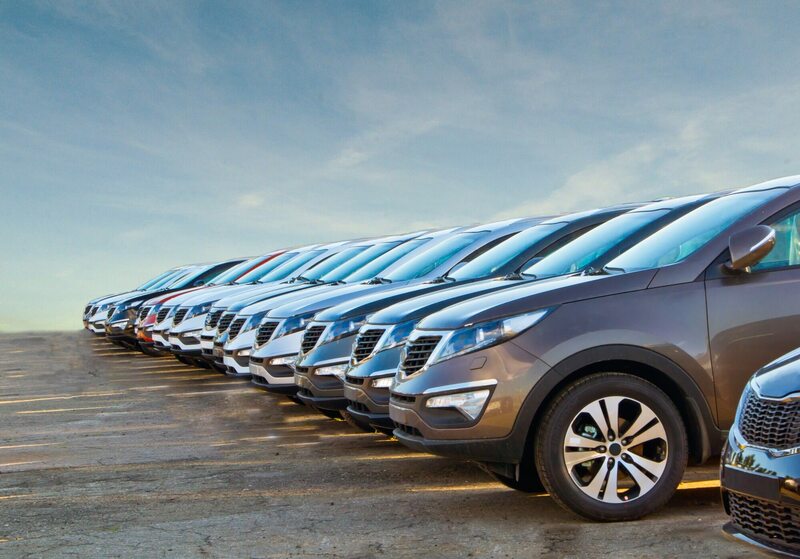 A big part of content for the auto industry is around car launches. Whether it’s a new car, or feature updates, both the brand, and the community get enthusiastic. Though a car launch is big enough to engage your audience, brands need to strategize smartly to get noticed. We’ve looked at a few campaigns and best practices. Of Mazda’s 315 Facebook posts in 2016, 42 were about the MX-5. 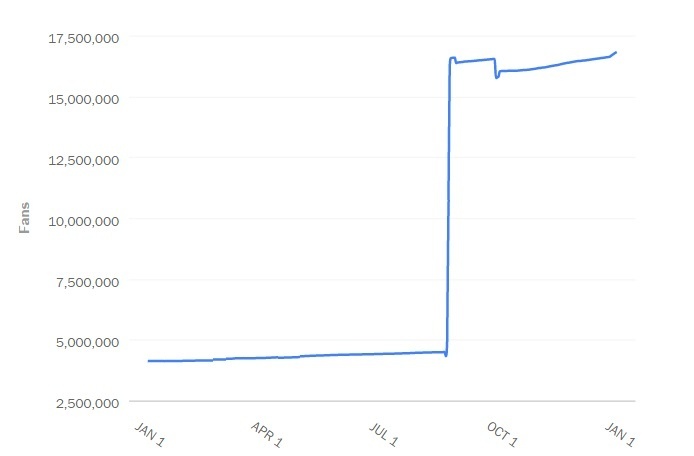 The campaign brought in 20% of all the Likes the page’s content got in the year. Though the brand posted multiple videos and also led viewers to a link with more information about the car, the majority of the car launch campaign content consisted of images. 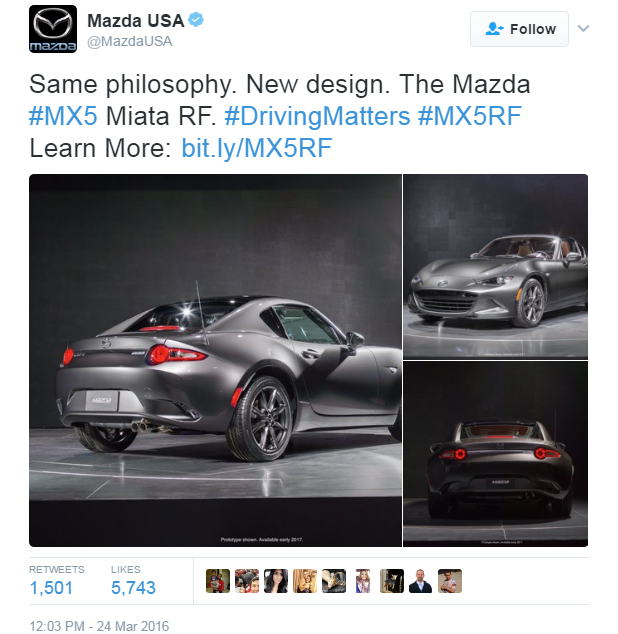 On Twitter, tweets about MX-5 engaged best for the brand. Though the brand used hashtags like #MX5 and #MX5RF, the one that was used the most by the brand’s followers was #DrivingMatters. Takeaway – Test multiple hashtags for a campaign. Combining car model hashtags with a broader brand-centric motto could work better than using just the campaign hashtag. Kia brought back their hamsters for the Soul campaign. The auto brand dropped the video on YouTube in late May and continued posting about it on other social networks. The video gained over 9 million views on YouTube and is the brand’s most viewed video of all time. 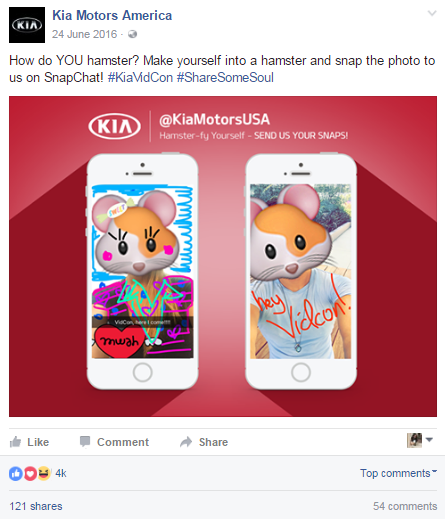 By reusing the hamsters that are familiar to the audience, Kia was able to make the campaign relatable and humorous. A lot of the content that involved the mascots gave the brand better engagement than their other campaigns. Takeaway – A mascot or a recurring familiar figure is a good addition to a social campaign as it helps connect the offline and online activities of the brand. Historically, car launches and new ad campaigns have been good performers for auto brands in terms of engagement. Tech upgrades in particular find a hungry audience. However, finding other topics to engage your fans is just as important as talking about a new car launch. 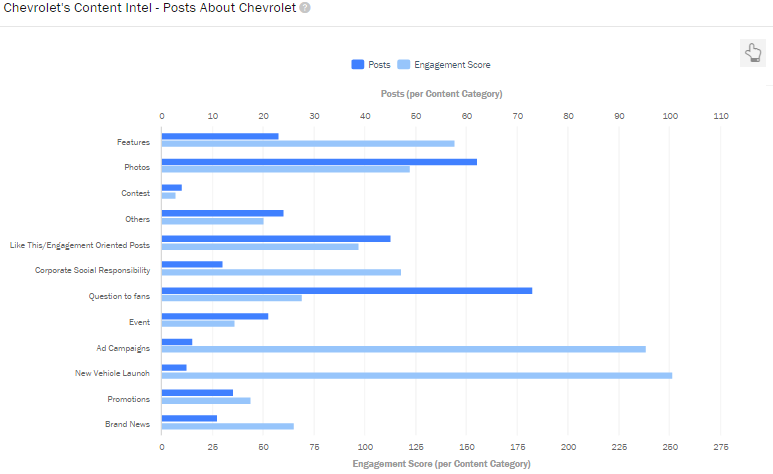 Though Chevrolet received the most engagement on content about new vehicles, features, and ad campaigns, they also spoke a lot about their CSR activities. This was one of the topics that got high engagement after new launches. Takeaway – Though one category of content might consistently get good engagement, identifying secondary topics is essential to add variety to your content and keep the community entertained. Visual content dominates social media. Anything with an image, GIF or video works better than those without media. The larger portion of Honda’s content contains images or videos. 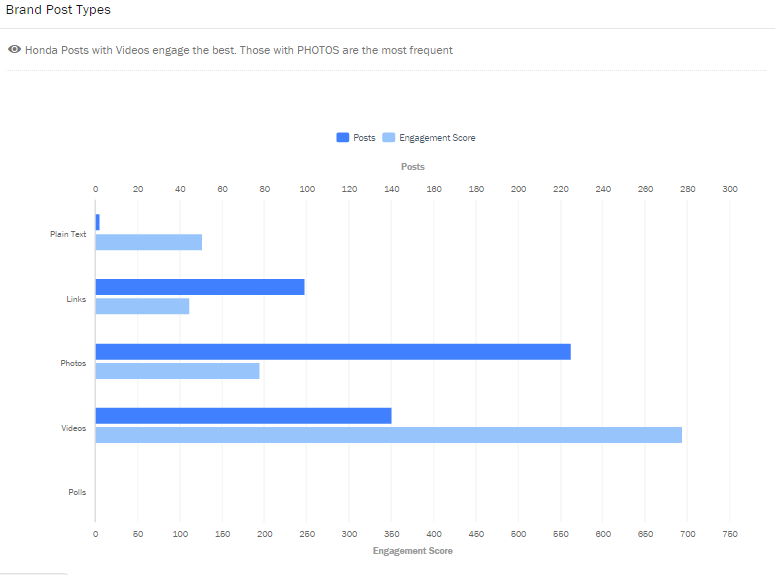 The brand posts more images, but videos are by far the most engaging type of content with their fans. Leveraging data to choose the type of media posted can help improve performance. Takeaway – An analytics-first approach will help improve the quality of your content and in turn engage better with your following. Social media presents the brands from the auto industry a vast canvas to showcase their models creatively. To engage their audiences better, marketers need to analyze how their content performed and benchmark against the competition. Unmetric helps brands like Ford, GM, and NARS do exactly that. Sign up for a demo and we’ll show you how.